Sometimes I seem to spend a lot of time trying to define myself as a traveller rather than a tourist. A tourist sums up images of people cramming onto dreadful coach tours to cliché places while they shout ‘ooooh’ and ‘aaaaah’ out of the window. I am a tourist though: I am a foreigner travelling into a place I do not live to try and gain a snapshot of culture. In the case of Hong Kong I was a tourist dropping by for just three days and so my husband and I decided to embrace our status. 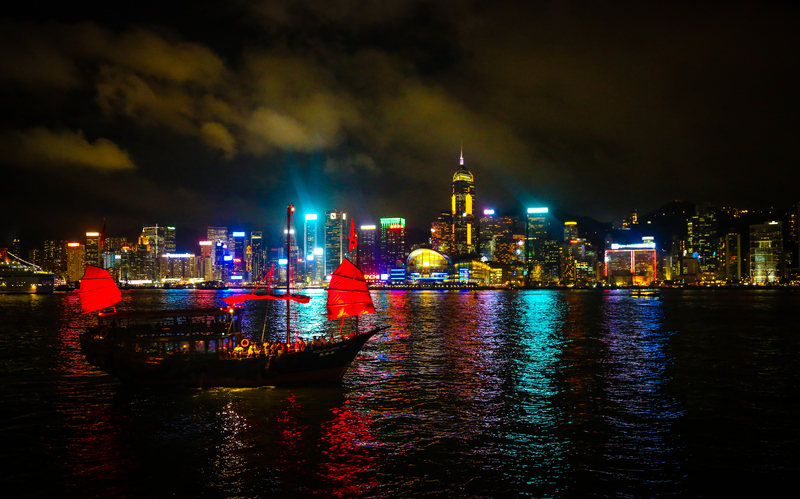 A classic Chinese junk carries tourists across the water as the daily light show adds colour to the cityscape. 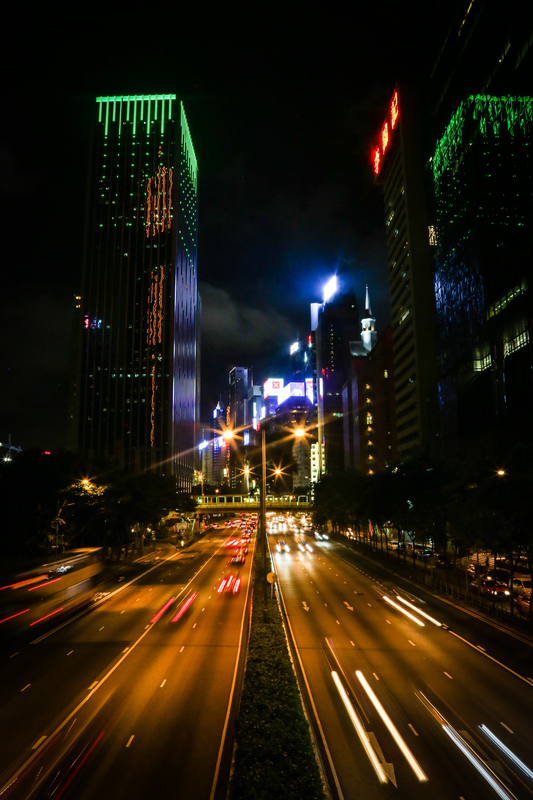 Hong Kong traffic moves under the shadow of the city’s many skyscrapers. As regular followers of my blog will know…. I do love a door! 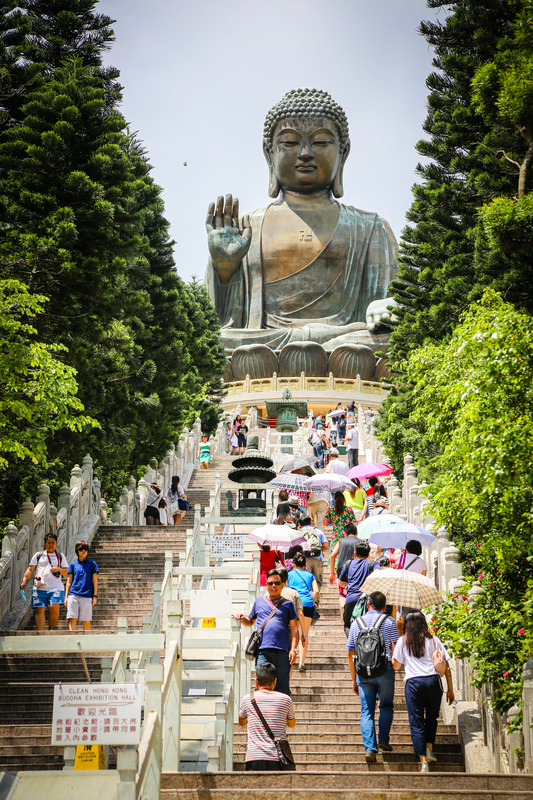 A more tranquil tourist experience visiting the world’s largest copper Buddha on Lantau Island. Tourists make the somewhat sweaty trek to visit the copper Buddha. You have really beautiful pictures. I really enjoyed your post. I had a similar experience last year. 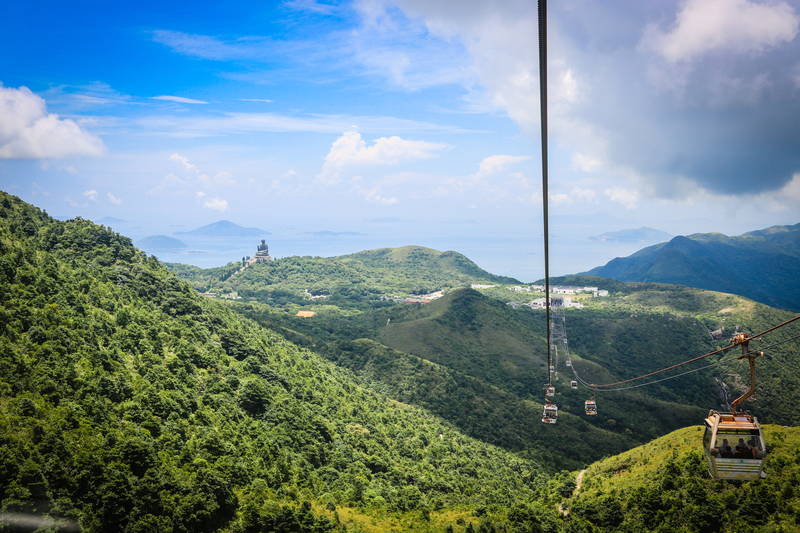 We had 3 days in HK and ran around seeing the main sights. It is a cool city for sure. I like the bottom photo with the people with umbrellas. Nice capture. I also like ht vertical shot with the traffic moving. 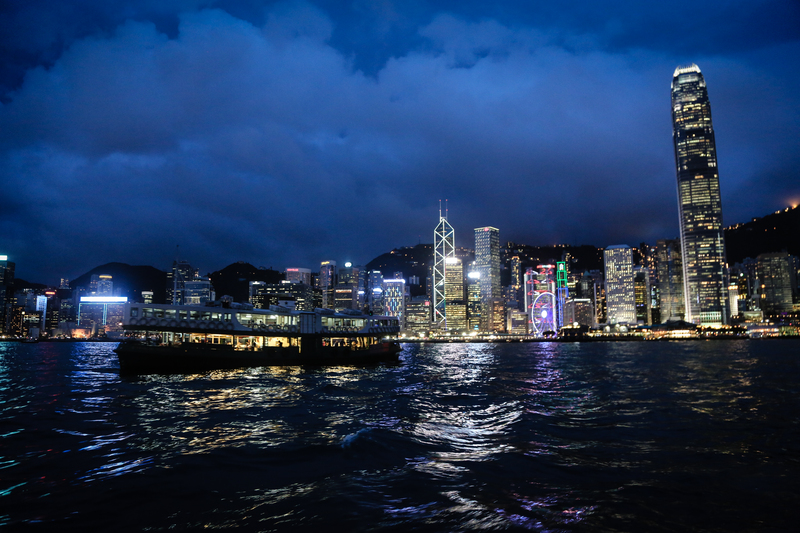 really nice pictures…i have never been to hong kong but now on seeing these pictures I really want to. Thanks – it wasn’t on my bucket list either to be honest but we really enjoyed it! 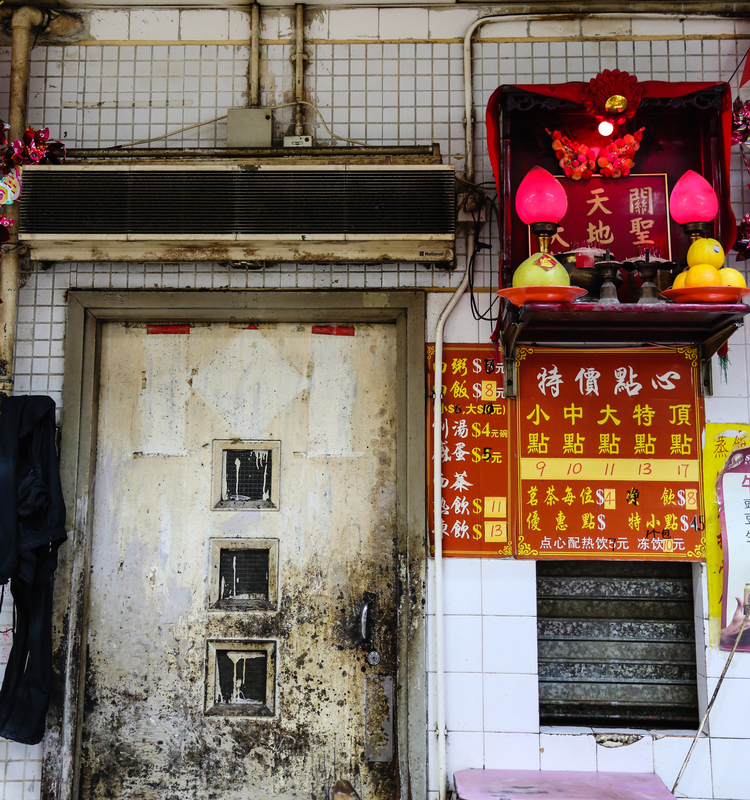 I live in HK, and your photos sum up the whole vibe of the city.